Have you been tasked to shop for holiday gifts for your company’s top 10 clients? If you are new to your company, an intern, or even if you’ve been in your position for 30 years, choosing the correct gift can be daunting. Each client is different and you’ve probably received little direction, except to stay within a certain budget and to find something nice. We would like to give you a few ideas to start you thinking. Is your “company” invited to a client’s holiday party? Then why not make an impressive entrance. Take along one of our large stainless steel ice buckets that was designed for a grand party. Have it custom engraved with your client’s logo and your words of appreciation for their business. Or perhaps a meaningful quote about a new partnership between your companies. 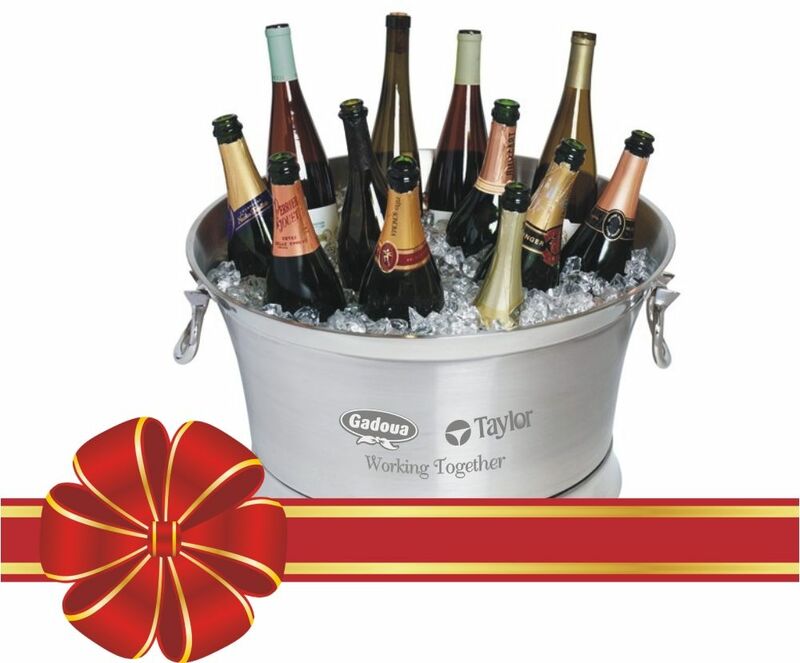 Be sure to take ice and at least 12 bottles of Champagne or Sparkling Cider to fill this large ice bucket. If you like this idea, but don’t need something quite so large don’t worry choose one of our smaller ice buckets or wine chillers. Choose a gift appropriate for your industry. Is your client in the trucking or transportation industry? 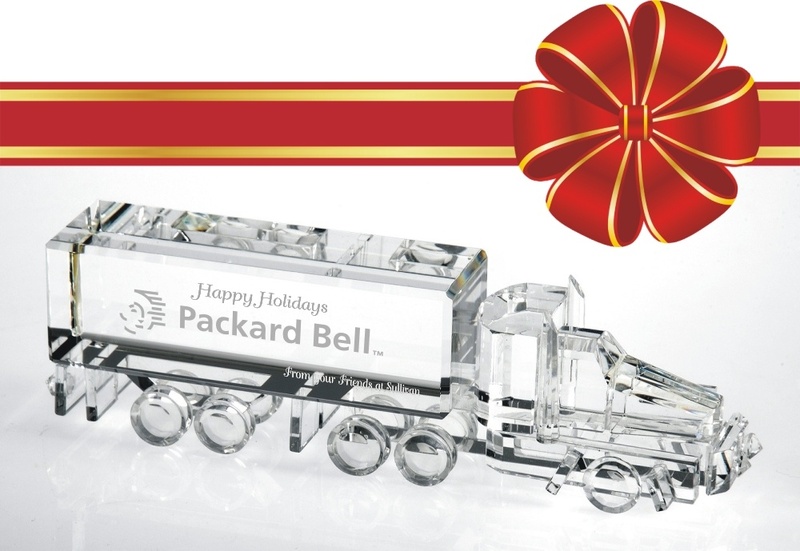 Give them an engraved crystal truck, train, or plane with their logo and your words recognizing their excellent services. Check out our figurine section for other industries, we have items appropriate from the music industry to law enforcement. Any of these beautiful figurines will look great in your clients’ conference room, reception or office and remind them of your commitment to them throughout the year. 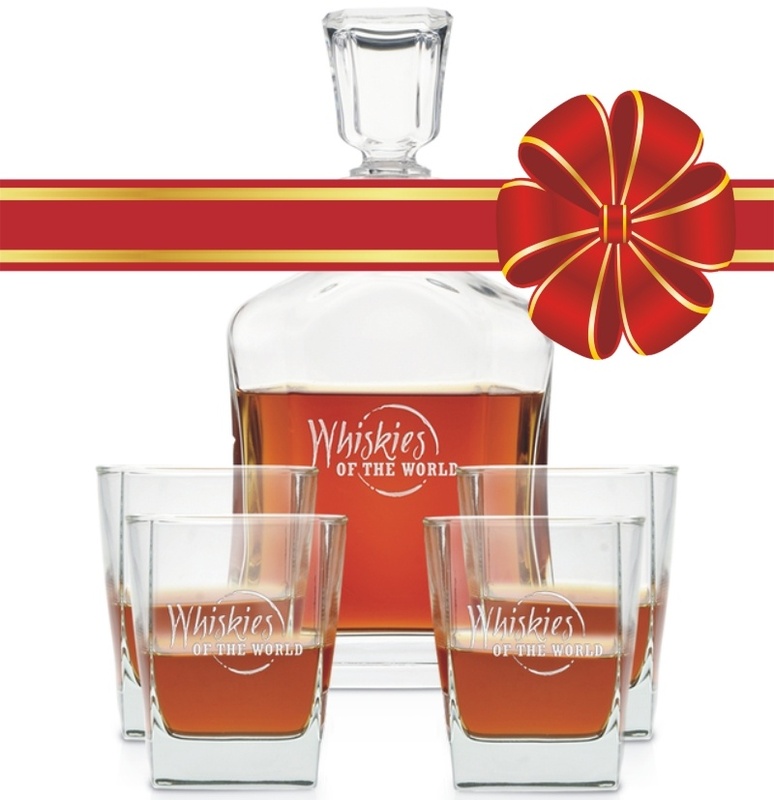 Decanter Sets are another great gift idea especially when you want an impressive gift. 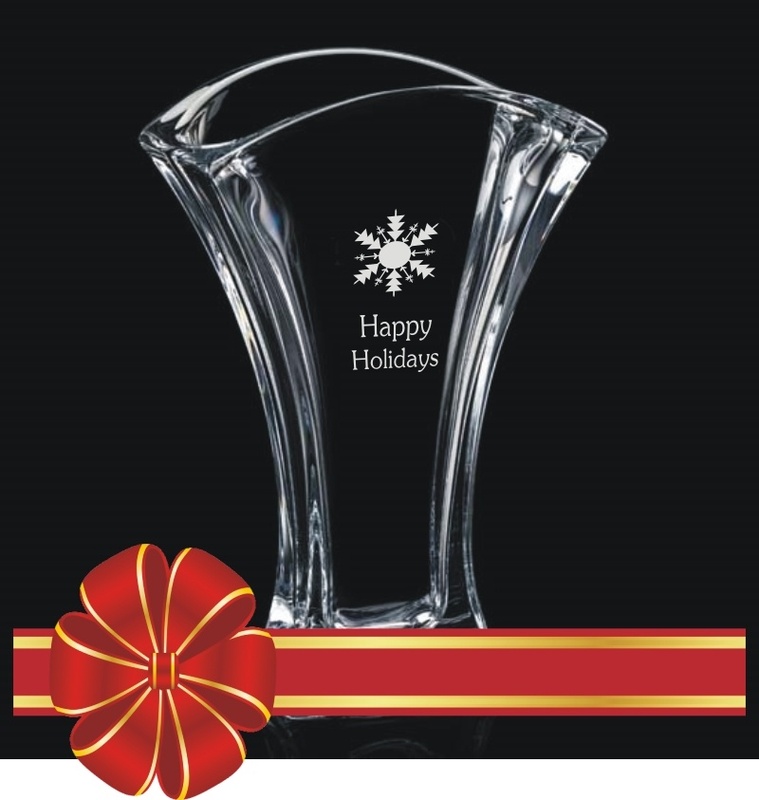 This Glass Decanter Set with 4 glasses can be engraved with Holiday Greetings, Company Logos or Words of Appreciation. The set can also be personalized with individual names if the gift is given to individuals rather than the company. A Decanter set will add a classy touch to any home or office bar. If you are looking for crystal decanter sets be sure to look at our entire collection. Engraved and Hand Painted Wine Bottles are a guaranteed to make an impression, if you are looking for an impactful gift. 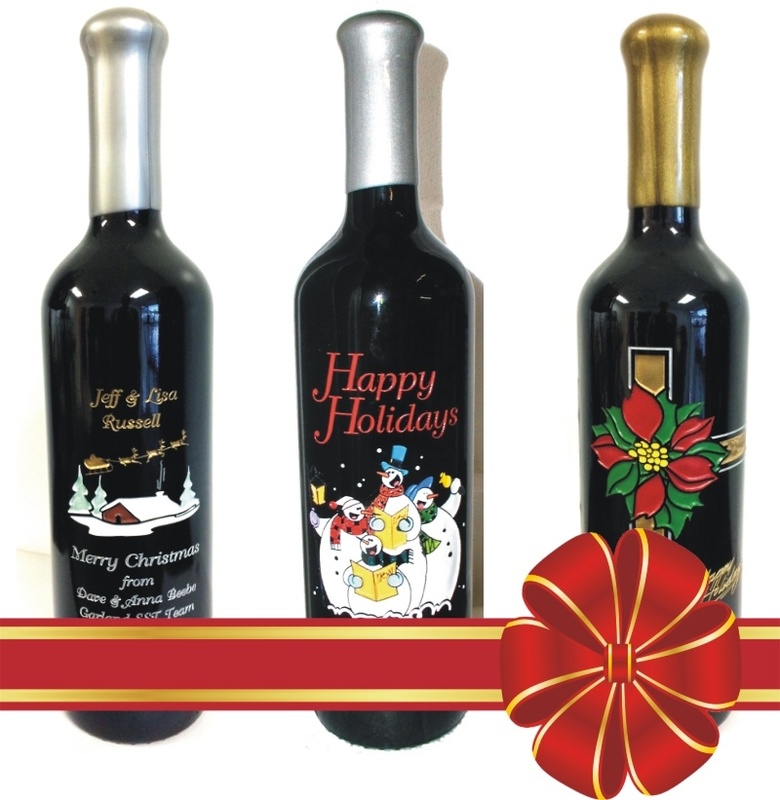 Do you typically give your clients wine for the holidays, then why not go with something different? Give them a wine bottle, with their logo and their names deep engraved into the bottle, add your logo or name to the design if you would like them to remember you for years and years. Engraved wine bottles are a unique gift that combine the heartfelt gift of wine, the craftsmanship of engraving, and the artistry of hand painting. Keepsake wine bottles rarely are opened, but instead are displayed for all to see, what a great way to keep top of mind with your most important clients. Give a gift to your clients that will express how much you value their business. Give them deep engraved crystal vases that are designed to showcase both of your companies logos and your words of appreciation. Large vases are impressive when filled with the finest of holiday flowers and later when empty as a keepsake piece that will be proudly displayed. We have a large variety of vases ranging from clean contemporary designs to the traditional cut crystal vases, choose the vase that will best suit the style of your client. Your job is important, so choose your gift wisely, keeping existing clients happy is an important part of your company’s success and your choice of a holiday gift is a part of this process. If you would like more ideas, please open our Holiday Gift Idea Look Book or go directly to our Holiday Gift Section. If you have questions please email us, we’ll be sure to answer your questions promptly.